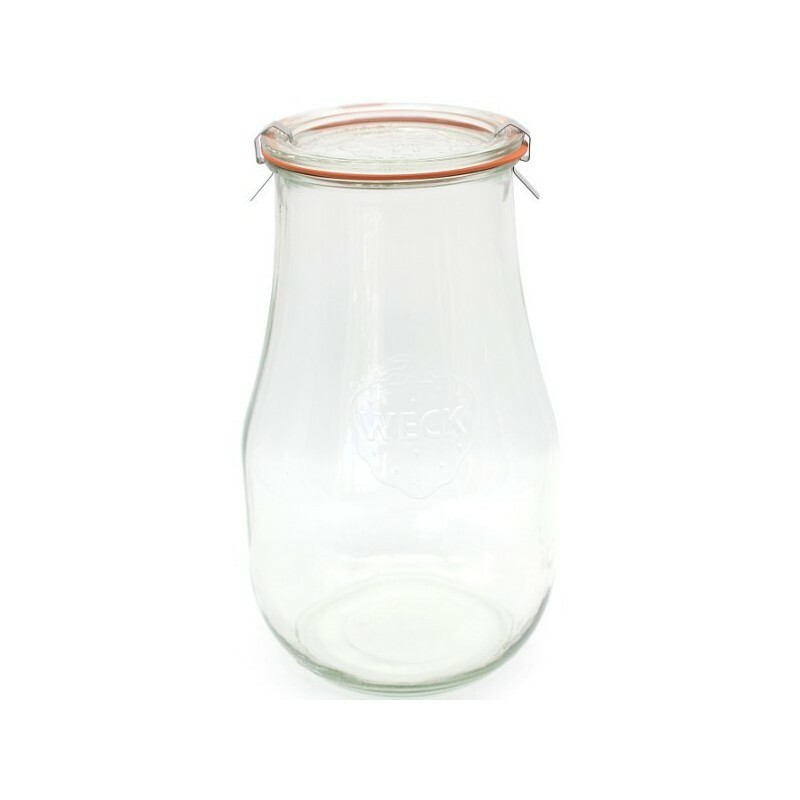 A large 2.5L wide mouth preserving jar with a bell bottom. This reusable glass jar is made from the highest quality borosilicate glass and completely BPA free. Great for pantry storage, ferments, and more. Total capacity 2500ml. Suitable for water baths and pressure canning. Fits the medium Weck dunking weight. 2500ml capacity. Glass, BPA free rubber seal, stainless steel clips. 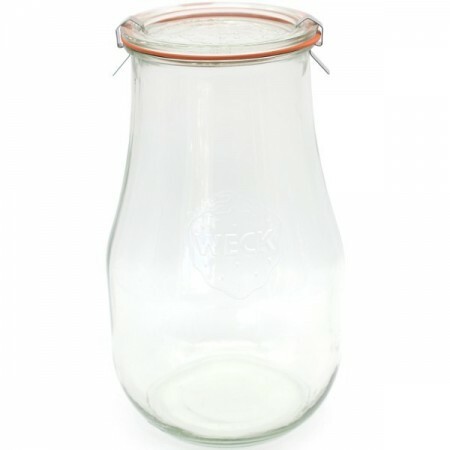 I am a recent convert to Weck jars. These larger ones save me making multiple trips to the bulk store. 2.5 litres of product lasts me a long time. I would recommend buying one more clip for the lid however just to make it extra secure ( Biome sells them too).